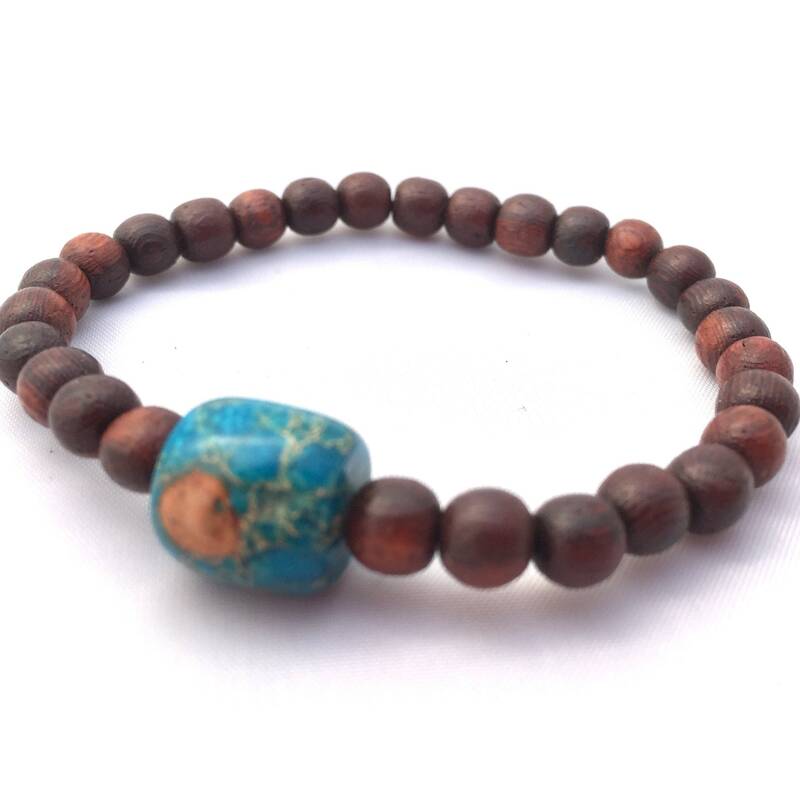 *Coconut Wood Beaded Bracelet with Turquoise accent bead. 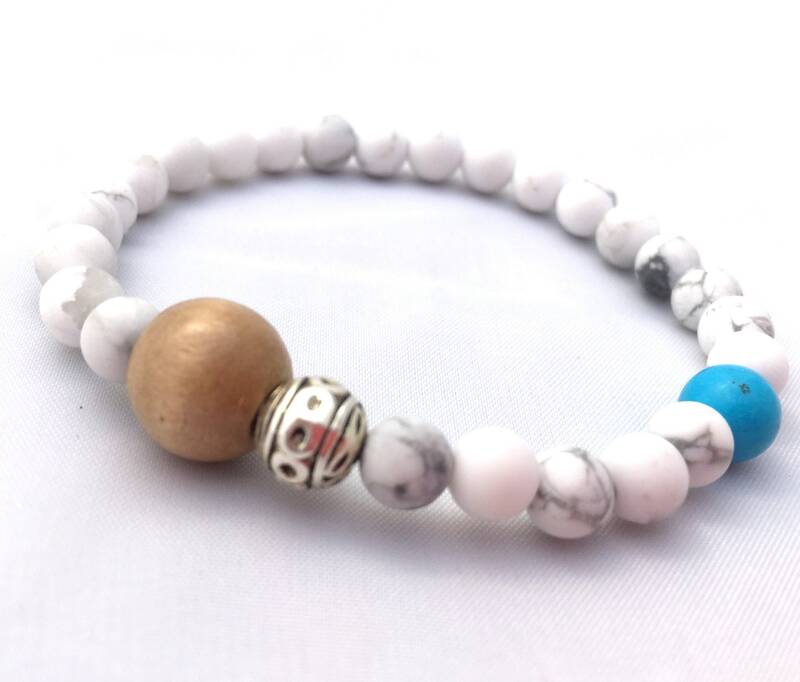 *Howlite Beaded Bracelet with wood, silver toned accent bead and Turquoise accent bead. 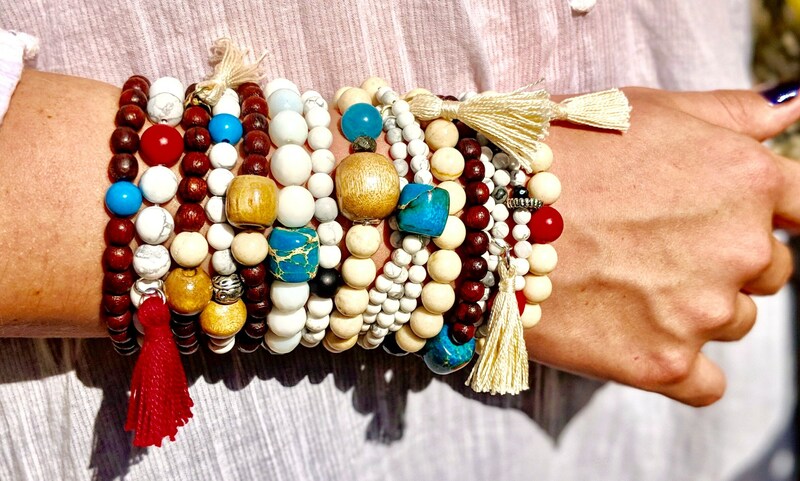 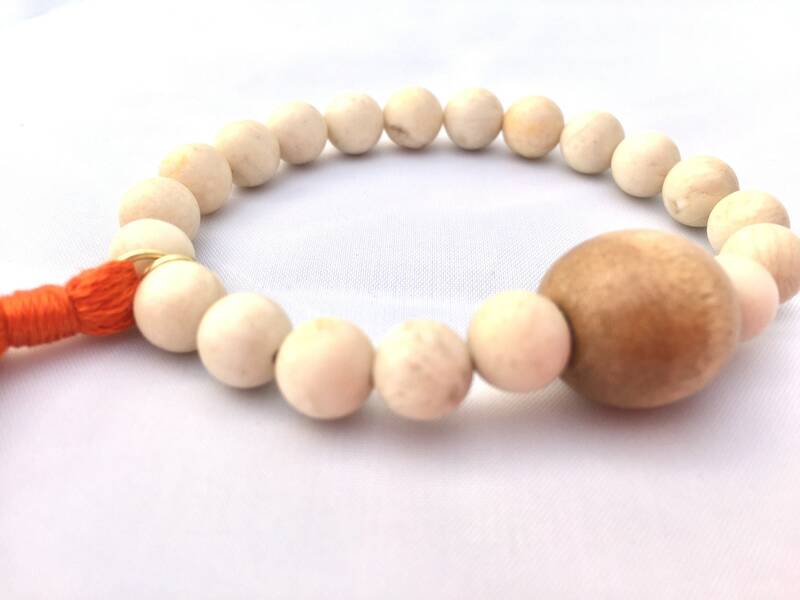 The Howlite and Fossil beads are 8mm round and designed on a sturdy elastic cord design for easy slip on and off. 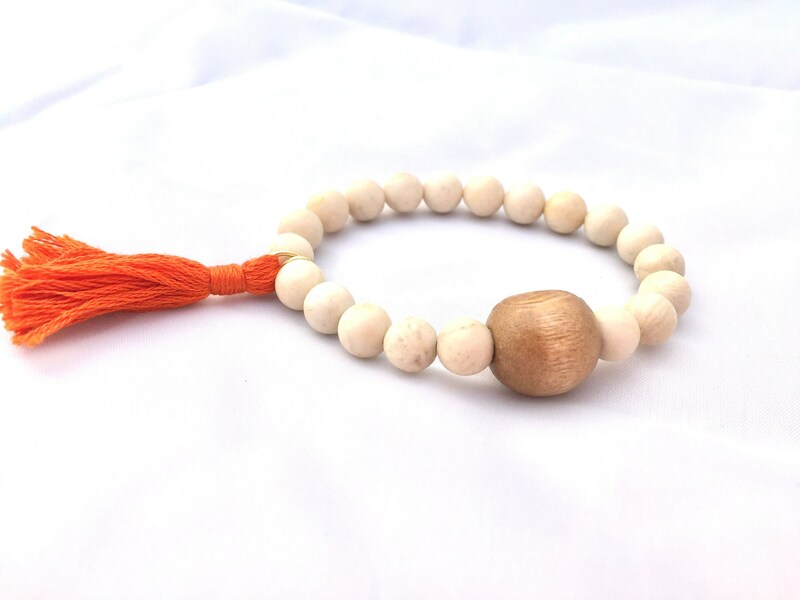 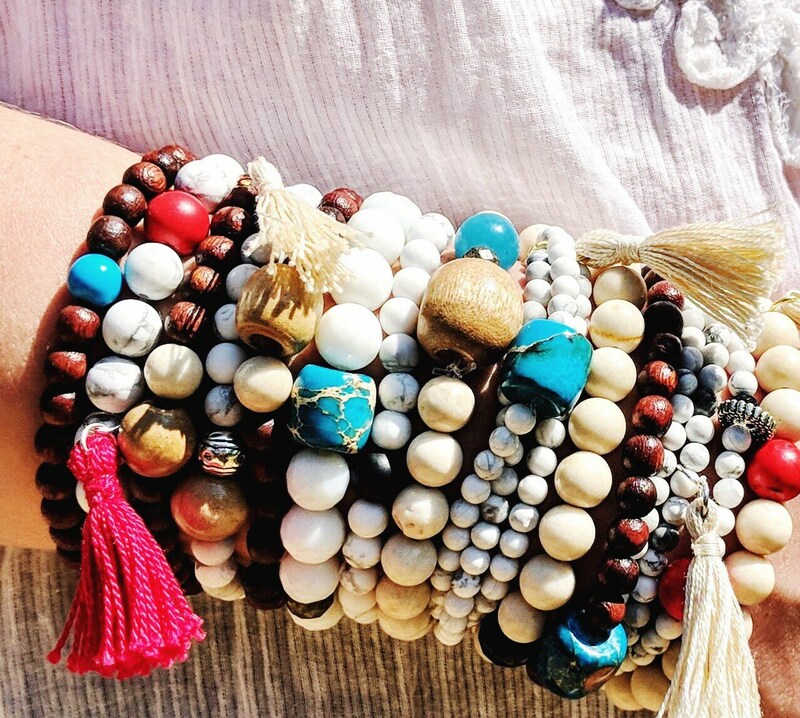 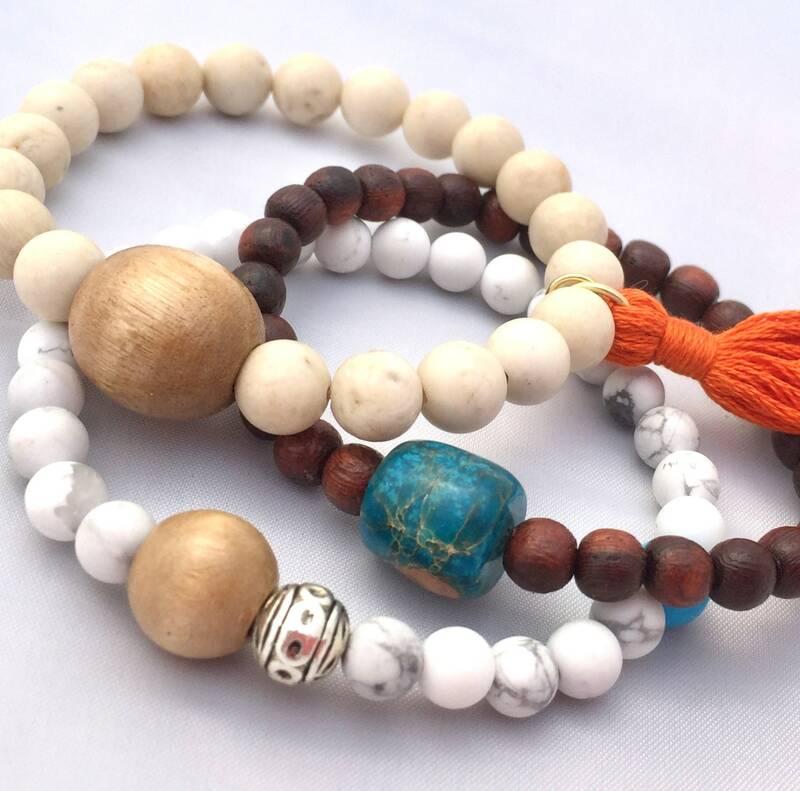 The Coconut Wood beaded bracelet is 6mm.